The procedure for adults and infants that remain unclaimed is cremation via County funds. We felt the babies deserved better than this and the least we could do was to try and give them a proper burial. With this information, we embarked on a mission. 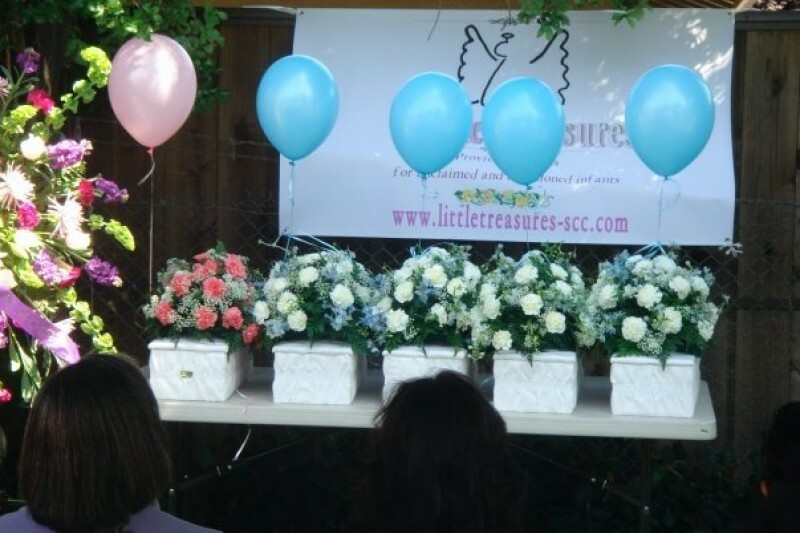 With each service that we provide, each baby is wrapped in a blanket, a teddy bear is placed with them and their casket is draped with a beautiful flower arrangement. We now look forward to providing this service to any county in Northern California that may have the need. We are looking at adding a few more benches in the section of the cemetery where the babies are buried. Thank you for your support! V, Miss you all greatly. 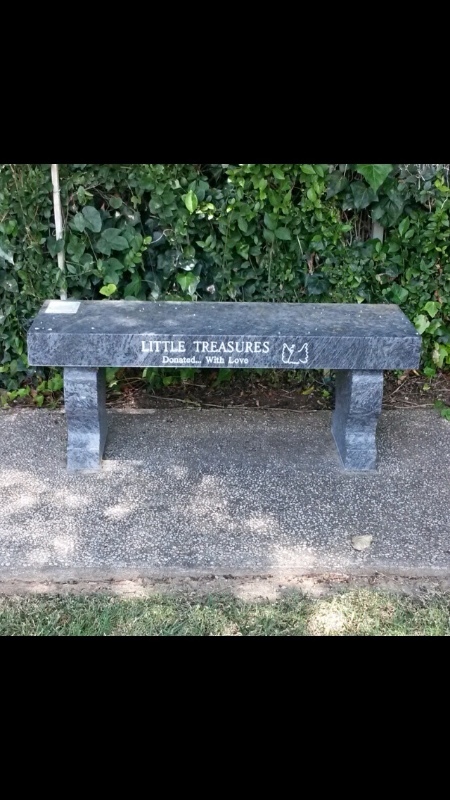 Keep up the great work with Little Treasures. I have a wedding dress that is quite beautiful. I would be interested in donating it for this cause.